At least 25 people were injured, local officials said, after reports of a ferry explosion Wednesday in Mexico. Twenty Mexicans, three Canadians and and two Americans were hurt, according to local civil defense director Juan Medina Sosa. None of the injuries were life-threatening and and they were in good condition. Local media reported the explosion took place on a ferry at the pier of Playa del Carmen, a popular resort town on Mexico's Caribbean coast. Some of the injuries included minor cuts and those affected were taken to a hospital for treatment. The cause of the incident was unknown, the statement said. It also said activities of tourists and residents in the beach area nearby were continuing as usual. 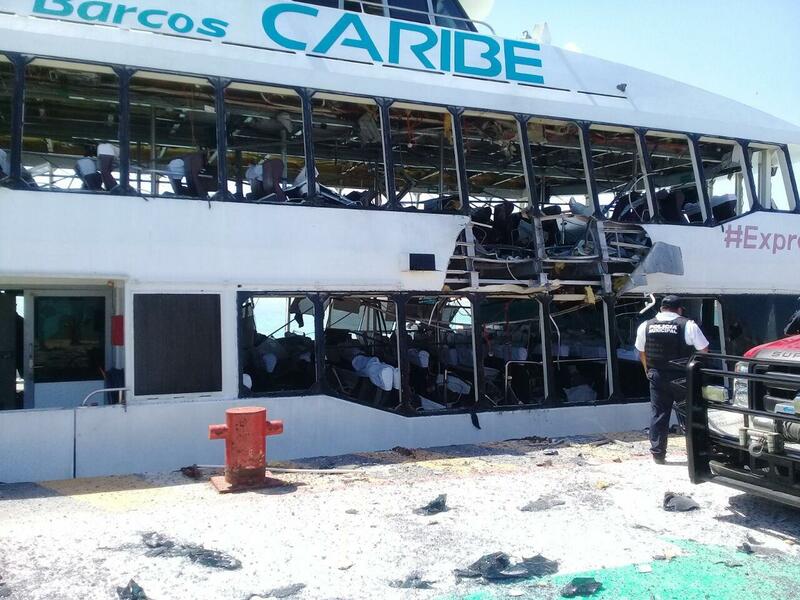 Videos posted online by the newspaper Quintana Roo Hoy showed the blast sending a fireball and debris flying sideways from the ferry as it was moored to the dock with people nearby. The Barcos Caribe vessel was left with a gaping hole in its starboard side next to a passenger seating area. The municipal statement said the explosion happened when passengers were getting off the boat. Officials said ferry crossings between Playa del Carmen and the island of Cozumel will resume through other companies that also provide the service at the dock. CBS News White House correspondent Paula Reid and Sopan Deb, a culture reporter at the New York Times, joined CBSN to discuss the second episode in the latest season of "Game of Thrones." Warning: There will be spoilers. A recent CBS News poll showed nearly two-thirds of Americans support legalizing marijuana. But Major League Baseball, the National Football League and the National Basketball Association still punish players for using the drug, even if they live in states where it's legal. Former NFL player Marvin Washington, an advocate for marijuana use among athletes, joined CBSN to discuss. GOP Congressman Doug Collins is being given access to a less-redacted version of the Mueller report from the Department of Justice. Meanwhile, President Trump is accusing Democrats of committing crimes as his business files a lawsuit to stop a subpoena for his financial records. CBS News Capitol Hill producer Rebecca Kaplan joined CBSN to discuss the latest.